HomeIs outsourcing business intelligence a good idea? Very good, detailed coverage of this most controversial subject. Thanks Peter. Well thought out piece with very good points. I have always felt BI does belong in-house so that “tribal” knowledge can develop and benefit the company. Hi Peter — As a BI consultant, aren’t you being a little hypocritical? On one hand, you say that for BI to be successful you need an in-depth understanding of business requirements and an extensive appreciation of the data in the business systems, and that the type of intellectual property that a BI team will build up is precisely the type of knowledge you want to retain in house. On the other hand, being a BI consultant, aren’t you telling customers that they should be hiring you to help them build their solutions? Isn’t that “outsourcing” the expertise that you recommend companies build and keep in house? More broadly, many/most large scale BI implementations bring in a consulting team to design and build the solution for the customer. And, most BI experts recommend bringing in expert consulting. But, these consulting teams don’t have the in-depth knowledge about the customer’s business or their systems, and they leave the customer when the project is done. Doesn’t that violate several of the items that you say BI is reliant on? So, if customers already are relying on outside expertise to have successful BI projects, then the main difference between what is already being done and what you’re referring to as “outsourcing” is simply where the servers reside. I think maybe you have made a wrong assumption at the beginning of your comment. I may describe myself as knowing something about BI (especially the management of BI projects and the change they involve), but I’m not currently and have not previously been (at least at the time of posting) a BI consultant and am not touting for consulting work on this site. Instead I’m just offering my perspective based on nine years working in the field. At the beginning of my first BI project, I did speak extensively to one of the big consultancies, but all they wanted to do was to go on about their insurance industry template and how great it was. They seemed to have a plan for cutting code before they had asked what we wanted so I junked them. I did bring in an independent consultant who has worked extensively in BI. He was with us for the first six months of the project. His role was to help mentor the team through the early stages and to assist with vendor selection. He was very helpful, but we outgrew his services after this period. He was not involved in business analysis (except from the point of view of a few tips here and there) during his stay. Nevertheless, I would recommend new teams having such a mentor, and have referred to this publicly elsewhere (on this LinkedIn.com thread for example). I also brought in an external consultant to help put together a training programme (based on input from the BI team and the business), though he did end up joining the company subsequently. I also used some contract ETL programmers from time to time when things got busy. I think that completes my full disclosure. So what you describe as the approach used for “most/many large scale BI implementations” does indeed violate what I say in the article. I would never recommend an organisation taking this approach. I think external help can be useful in helping to define a strategy, avoiding common pitfalls and building training programmes. I think you could also make a case for bringing in some one external to manage a BI project, so long as part of their role was to groom an internal successor. Given this, I’m not sure where my alleged hypocrisy comes in – are you? i found the article of Sid Adelman on this subject very interesting. It gives a guidlines on what should be outsourced in BI/DW projects. Thanks for the comment (which WordPress initially tagged as spam for some reason!). I read the article and it chimes very closely with my thoughts – as expressed above. I’m glad that I am not alone in holding these opinions. Thanks for the link. Hi Peter — Thanks for your clarification. To clarify on my end, I do think outsourcing BI is a valid option (and often the only real option) for a large portion of the market. Most companies don’t have the resources or the skills in house to build and manage a BI solution, so they end up with manually created Excel spreadsheets (“Excel Hell”) and a lot of guesswork. This is why I believe that Software-as-a-Service BI is a very positive trend for the market. I find it hypocritical when consultants say “don’t use SaaS BI. You don’t want to outsource BI — you should hire us instead”, because as I mention in my original comment, that’s outsourcing too. If a company doesn’t have the resources to do the things that are most important for BI’s success internally (understanding the business requirements, understanding the data and how this relates to requirements, designing and executing change programmes to make sure that the best use is made of BI) then I’m not sure what a bunch of consultants or an outsourcing provider is going to do better for them. If there is no one in an organisation who either has or is able to acquire the necessary knowledge, then the company has bigger problems than not having a good BI system. SaaS BI can work independently of the above (depending on how it is set up) and complement in-house work, but I can’t see how it would supplant it. Do you know more about your clients’ business needs than they do? According to my experience most of the companies already has some departamental small BI systems in their companies which solve particular tasks of particular departments and this is a big issues for top management to find someone within the organization who can and have knowledge to start building the corparate BI system. In this situation top management in any case has to hire new people or outsource this services. 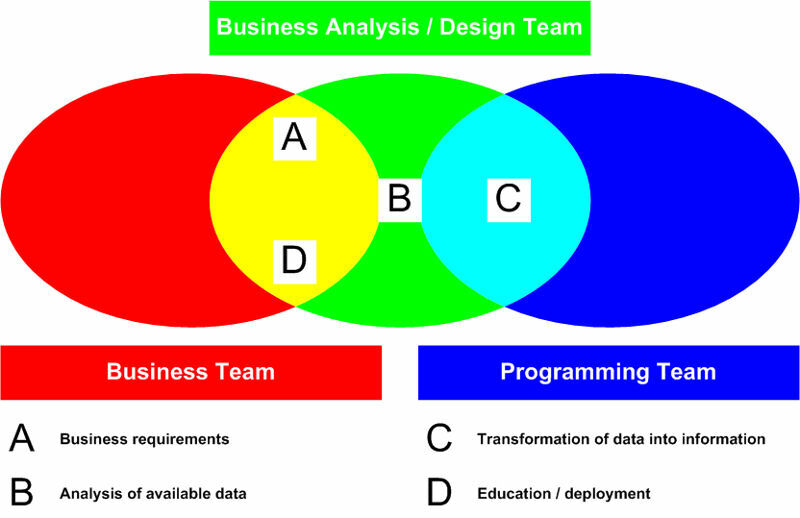 To hire good experts in BI most of the time is more difficult rather than to outsouces BI team. That’s why big companies usually outsources BI. In my opinion, if the company’s business users has stong unterstanding what they want – outsourcing BI is the fastest way to make the implementation. If no, it will be too expensive for the company to outsource BI. Thanks for the comment. As someone who has successfully built a BI system covering nearly 20 countries, I’ll stick with what I know has worked for me as being cheaper and more effective. I am BI professional and working in the field of MSBI specifically SSAS. I am based in India and looking for some companies for business partnership. I am looking for some companies those can outsource their BI projects. Thank you for taking the time to comment. Did you read the article by any chance? Hi Peter, Thanks for the article. A lot of good arguments as to why BI is not really suited for outsourcing. Any thoughts on how to reverse an outsourced BI department when one realises the real value? Are new projects the best way to start rebuilding or operations of the existing BI solutions? Thanks for taking the time to comment. If I have it right you are asking about bringing an outsourced BI function back in house – do I have that right? I guess new projects vs business as usual might be somewhat related to how the outsourced systems are perceived. I’m guessing that if they were great, then keeping them outsourced would make sense as it had delivered, so perhaps the question would not arise. Am I right in assuming that this path has been less than successful? Peter, Thank you for the great article. There is business and technical aspect of BI. Both aspects are important. Depending on what data sources are used, you can have a business /information analyst which delivers specifications which an external consultant can use to design a data warehouse and ETL. Those activities can en should be outsourced, I believe. There is no way an internal developer can match the skill level and experience of a consultant who have seen a lot of data warehouses in different companies. Learning “hard” technical skills cost time and money. This is an argument which managers understand. Even iterative development which often comes at a later stadium when reports of OLAP-cubes have to be build, can be done by an external experienced BI-consultant. He has done it many times before, after all. As I say, what might be termed the programming resource is the only element that I would consider outsourcing. For mid-sized companies, this is likely to be of a size where the economies of scale are outweighed by the risks, lengthened communication lines and lack of flexibility (understandably) inherent in many outsourcing contracts. Out of interest, what is your own role? It always hels to get disclosure on these matters, lest other readers infer a conflict of interest. Brilliant article Peter. you have mentioned very good points regarding business intelligence. In my view, Business Intelligence is an arrangement of data management and recovery with the end goal of future projection of interest, sale, income, and so on. Better purpose expediting enhanced business performance is the fundamental profit of utilizing it yet it accompanies a conceivable issue of over-dissection or once in a while even wrong projection because of confusing some economic indicators or from a sudden surprising change good to go situation. Over dependence on business insights is not suggested.